Shinto : Chujo saku ranking : Wazamono cutting test ranking : Settsu province. This sword belongs to Jojo saku ranking. Blade length : 69.0 cm or 27.2inches. Sori : 1.8 cm or 0.71 inches. Width at the Hamachi : 2.95 cm or 1.2 inches. 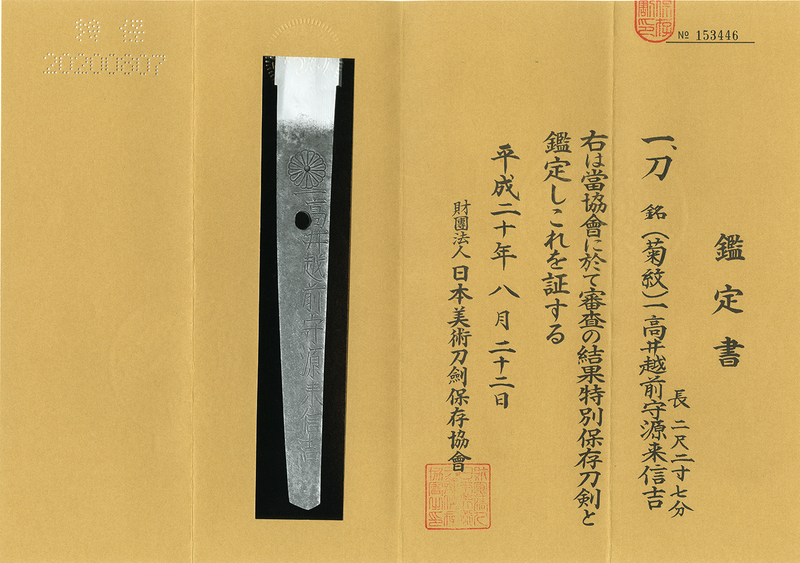 Width at the Kissaki : 2.07 cm or 0.82 inches. Era : Edo Enpo era. 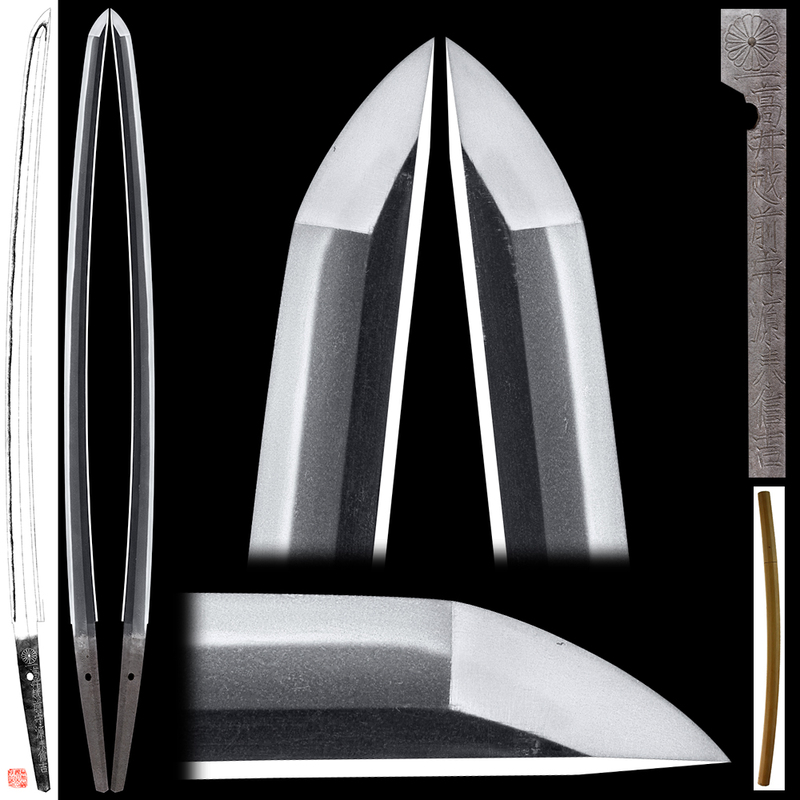 Shape : The blade is regulat thickness and width with deep sori and longer Kissaki. Jigane : Koitame-hada well grained with Jinie attach beautiful texture. Hamon : Koniedeki-suguha with thick Nioikuchi and wavy temper line. Special feature : Takai Echizen Kami Rai Nobuyoshi is the 3rd son of the first generation Shinano Kami Nobuyoshi. He was influenced a lot from Inoue Shinkai and Sukehiro Doranba. So he made many copy of Tsuda Sukehiro and Shinkai. This Suguha Hamon, is very similar like Shinkai, and excellent Jigane. Saya :The Saya immitated cherry tree branch. Tsuba : On the iron plate, butterflies are engraved. Menuki : Kiri family crests are engraved on Shakudo plate. Fuchikashira : On the brass plate, many small dotts are carved.